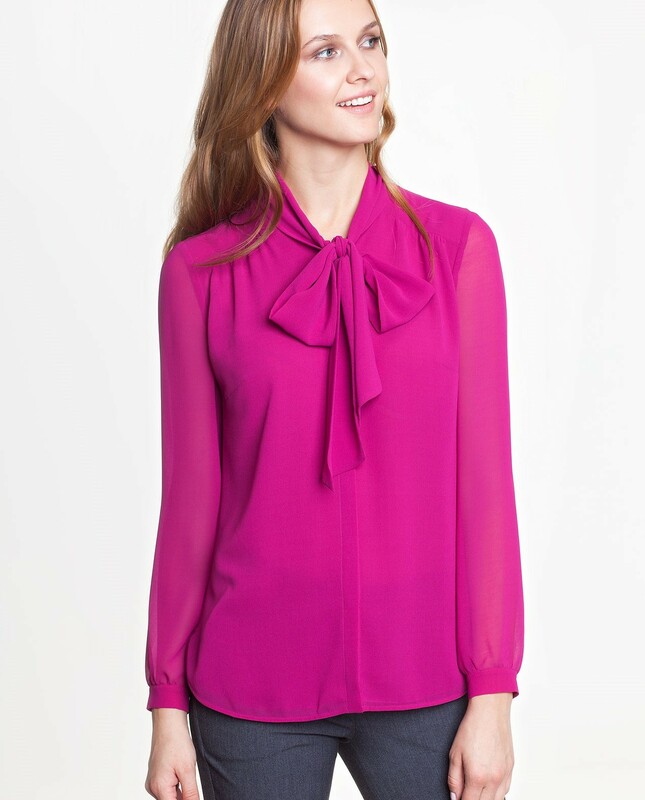 A flimsy long-sleeved blouse with a long sash to tie around your neck. The garment is made of a soft, slightly translucent cloth. There is a front hidden button placket. Loose sleeves are finished with single cuffs decorated with a button. The high quality fabric makes it comfortable to wear. 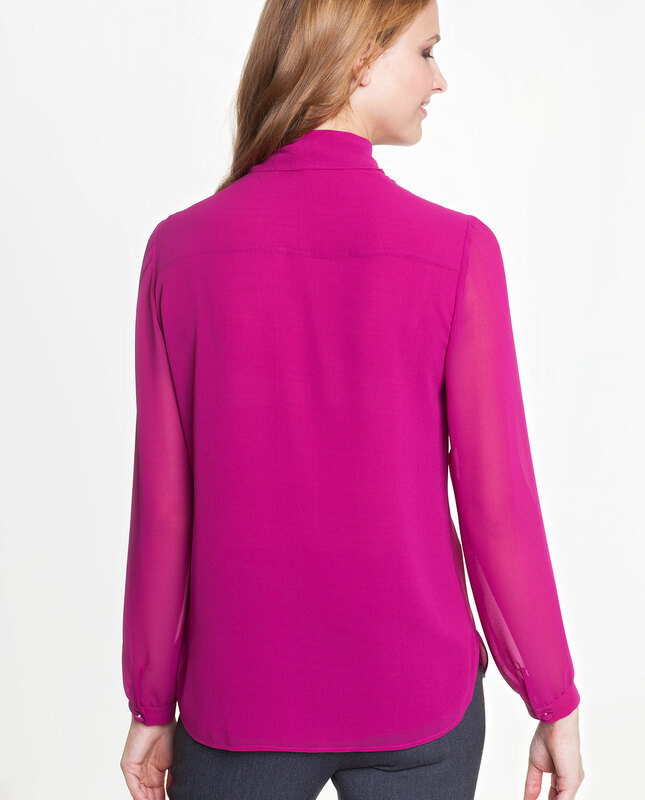 The blouse is a perfect match for every look, both casual and formal.